We’d love your help. Let us know what’s wrong with this preview of Satanic Bedtime Stories by Christy Leigh Stewart. 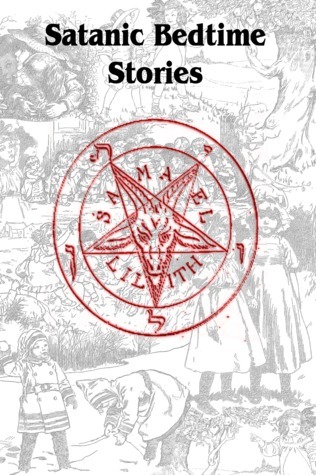 Satanic bedtime stories is a collection of fables, each illustrating the practical applications of The Satanic Church's Nine Satanic Statements with fun characters. Join the young boy Damien as he learns that Satan can be your best friend. Fang, the wolf, on his journey to learn that humans are as wild and vicious as he. And finally, a practical spider named Lilith who comes Satanic bedtime stories is a collection of fables, each illustrating the practical applications of The Satanic Church's Nine Satanic Statements with fun characters. To ask other readers questions about Satanic Bedtime Stories, please sign up. Beware friends with children, I am buying this for everyone. It's only 30-something pages (read it while my flight was delayed), but it's actually really well done. It's short stories, appropriate for children, based off the 9 Satanic Statements. Some of them would also make for really good discussion topics. It's basically Aesop's Fables for the left hand path. I’m happy to see a book in this genre that is not negative regarding Satanism. And, regardless of the title itself, the teaches some decent life lessons. This book is a gem, while I have no children, I love a good bedtime story! Great choice, a sure indulgence for both parent and child. Safe for kids. Quick and easy read. It basically took the nine Satanic statements and wrote a story about it. Very cute and easy to read.